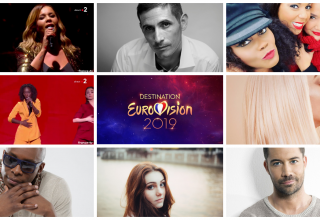 Home 2019 France: Who is your favourite in the second Destination Eurovision semi? France: Who is your favourite in the second Destination Eurovision semi? The songs and selections will start to come thick and fast now as the French public continues its search for their next representative. The second semi-final of Destination Eurovision, the newly revamped and much-anticipated French selection (now in its second year), will take place this Saturday. 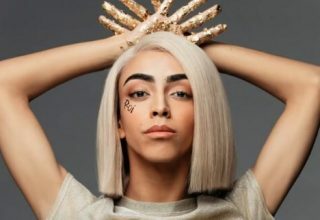 One of them may represent France in the Eurovision Song Contest 2019 in Tel Aviv, Israel. Nine acts are in the running to make it to the final, but only four songs can make it to the next round, with the French public and an international set of juries combining to determine the lucky quartet. We wanted to know who #YOU like the most in this semi-final, so share your thoughts with us and let your voice be heard by voting in our poll below – and why not leave a comment in support of your favourites? We’ll be back on Saturday to reveal who #YOU liked the most in this semi-final, before the main show gets underway live from France. Who do #YOU want to see representing France? Share your thoughts with us on our forum HERE or join the discussion below in the comments and on social media! Previous article Eurovision Buzzkill Alert: Beware the Bretanocalypse!